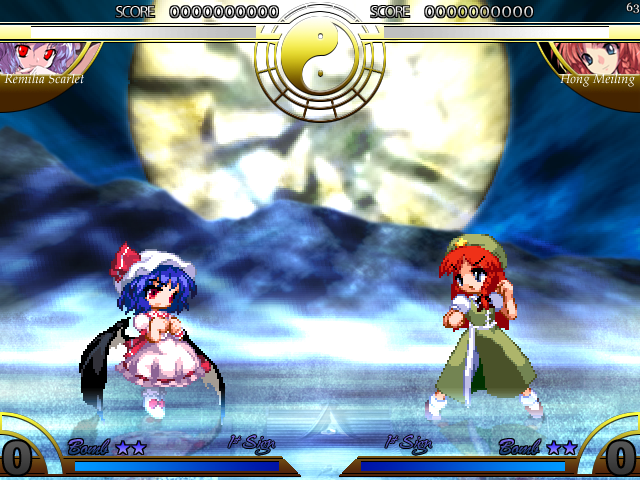 Behold.... the first Touhou fighting game! Yep, it is. 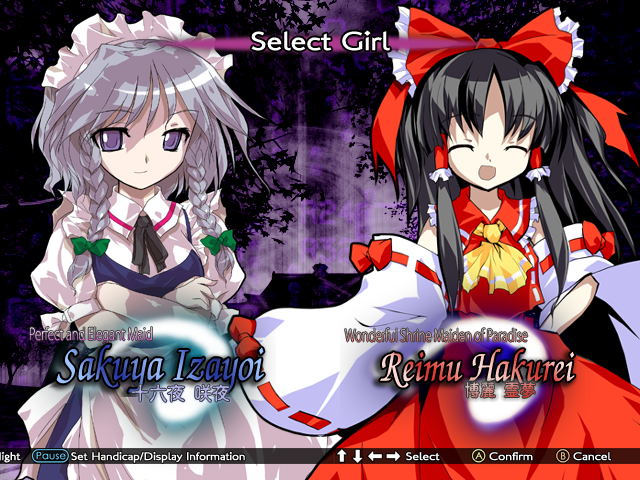 But.... what if you add danmaku elements in a fighting game? This is the product. Why it has ".5" in it? 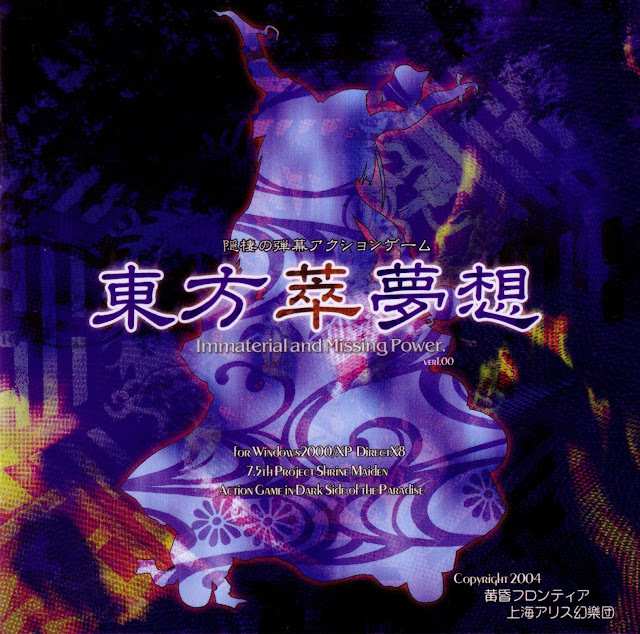 The game actually released after Touhou 8 but the plot and scenario happened in between Touhou 7 and 8. The story is about the aftermath of the snowy spring incident (Touhou 7) where even after the spring season has ended, people are still gathering and having feast over and over. 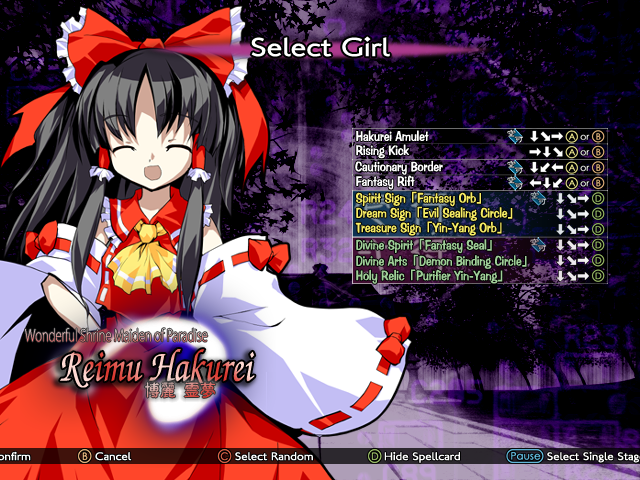 Reimu suspected that something is wrong. Once again, it is time for the Gensokyo heroines to jump in and solve the case. Each combo varies based on directional buttons like most fighting games. To execute a full combo, the player will need to use their own creativity to chain all the skills of the character from one to another accurately. Each battle has 2 stages. the first one will have both characters with low leveled spellcard and later after defeating the enemy once or vice versa, the losing character will use a stronger spellcard. The spellcard of each character can be selected before battle. There will be HUD showing the player's health bar, Number of cast-able spellcards left and spirit bar. all projectile skills will consume the spirit bat (some exception for melee bias characters like Remilia where eve some melee skills uses spirit). Blocking enemy projectiles will also depletes the spirit bar. Be careful not to having it fully empty because all skills that uses spirit energy and also blocking will be disabled until the bar is fully regenerated. player will also be able to use bombs to cut the enemy's movements to make easier combat initiation. White bar shows Health which will deplete to Red bar and later to zero. Blue bar shows spirit energy. Star shows the number of Bombs left. Number on bottom edge shows number of cast-able spellcard. One thing about its mechanics is that you can wait for spellcard stacks and then.... SPAM! In my opinion, this game takes some time to master. I struggled even on easy mode. The button combinations are also hard to activate as example, spellcards declaring is very difficult to trigger. Instead, the character always accidentally dashes where she will be open to enemy's melee attack. The commands for button "x" is also risky to use because it's distance reliability is not that good because at medium-far range, it will also execute melee attack instead of projectile attack which also, once again, endangers self to enemy. Other than that, it is pretty done well because it allows juggling of enemy, where player can use their own creativity to chain variable skills together. 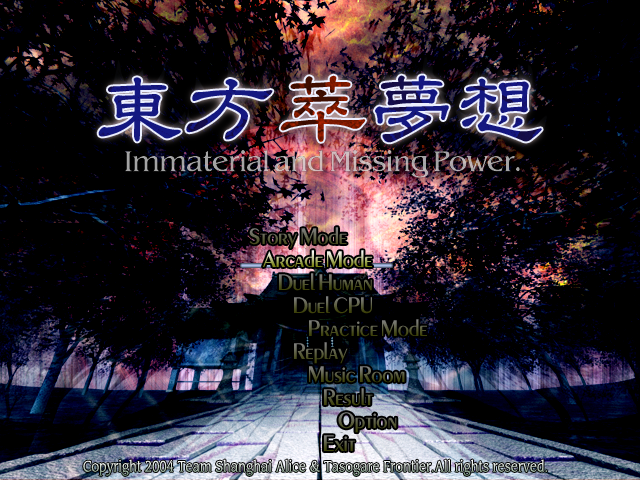 Alright, that is it for Touhou 7.5, Touhou 8 will be posted within this week so stay tuned. see ya!